VIVA College Students - Special Offer! Special Offer for VIVA College Students. 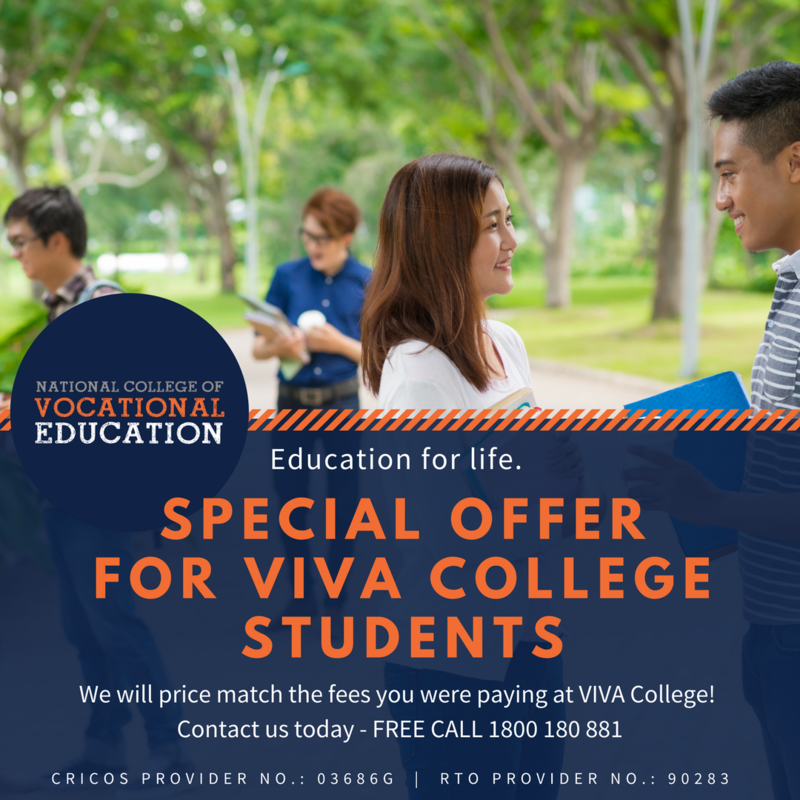 National College of Vocational Education has a special offer for those students affected by the VIVA College closure. Our Brisbane Campus is a short walk from Queen Street Mall in South Brisbane. If you were a student of VIVA College, we will price match the fees you were paying at VIVA College and you will get your Materials for FREE!